The Greater Bandon Association has named the August recipient of its Volunteer of the Month award. Maureen Haggerty is this month’s winner as GBA nears the end of its second year of making this award to the many outstanding individuals that contribute to making Bandon a better community to live in. 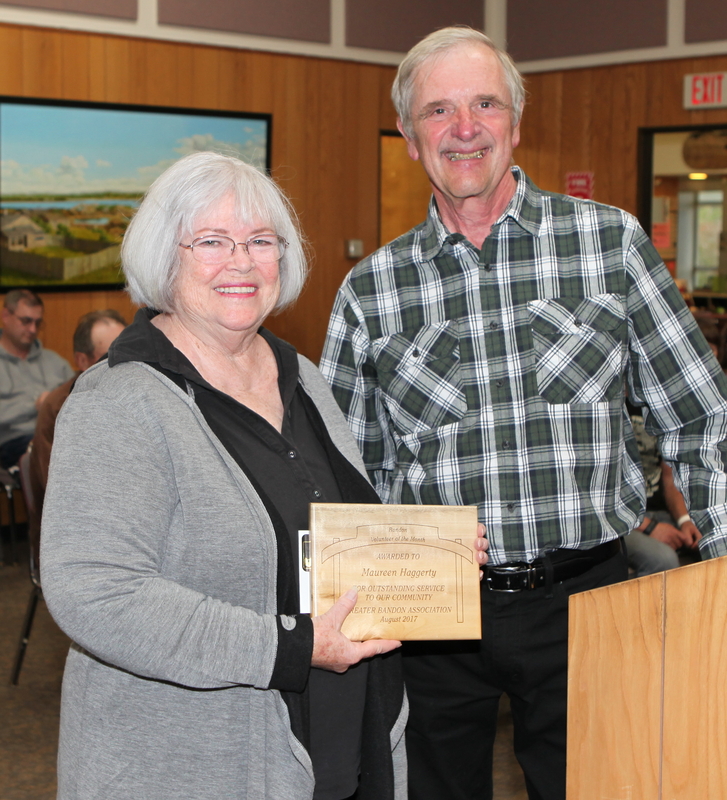 She was presented the award in the form of a plaque and a gift certificate from Devon’s Boutique at the August 7th, 2017 meeting of Bandon’s City Council. Maureen has served on Bandon Library Friends and Foundation Board and is a member of both its membership and strategic planning committees and maintains its website. She is the primary volunteer for CyberLynx, the local non-profit organization providing free computer classes to the public. Maureen also serves on the Steering Committee for BandonCares, the network for non-profit organizations serving the Bandon area. In her role, she helped create the organization’s website, she gets out announcements to them about events in the area and she assures their events find their way to the community calendar maintained on the Chamber’s website. The Greater Bandon Association will be honoring one of Bandon’s many volunteers that are making a difference in the community each month. Nominations for the September award should be e-mailed to harv@greaterbandon.org or mailed to P.O. Box 161 by close of business on September 1st.